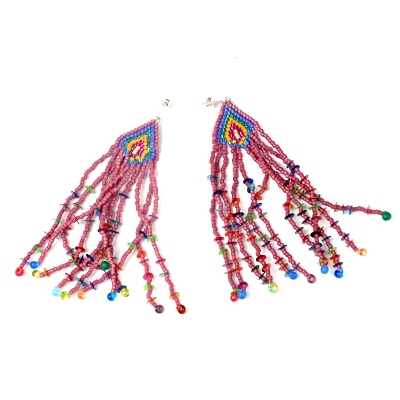 Add some colour to your life with these Fiesta Earrings! Inspired by a skirt I love, these earrings share its movement, colour and materials used whilst being wearable and quick to make. This 3-page tutorial contains full instructions and tips as well as check lists for all tools, materials and techniques needed to help you shop and plan. A basic knowledge of brick stitch and fringing is needed. This project was originally published in issue 12 of Bead magazine.